What was it like stepping out on the stage for the first time as the Beast? It was quite crazy, to say the least, but it felt right. My first performance was in Los Angeles last March. Tom Cruise, Katie Holmes and their daughter, Suri, were there. That’s quite an audience for your opening night! Did you know Cruise was there while you were performing? The buzz of opening night was already going. I’m in the first scene, so I’m waiting in the wings to go on stage, and all of a sudden, the audience goes crazy. I was like, "What is going on? I get that it’s Beauty and the Beast, but…" [Laughs] Our tech guy was on his headset and he was talking really fast and I overheard him say, "He’s here? He did come?" And I was like, "Who are you talking about?" And he’s like, "No, I won’t tell you. I can’t tell you." I said, "Tell me, now!" So he told me it was Tom Cruise. Tom waited about three minutes before the show was going to start and brought Katie and Suri down the aisle. People recognized them and started to scream. Did he visit the cast backstage after the show? Tom was just the nicest person. I was really shocked by it and how he was interested in talking to Emily [Behny, who plays Belle] and I. He said that he had never seen the movie or the Broadway show and that I will always be the Beast to him. When he said that, I was like, "That is crazy. You probably say that to every Beast you’ve seen. You’ve seen it 27 times." I felt pretty cool about that. You’re of Italian descent. How does it feel to go through life being mistaken for a Greek because of your last name? It’s not bad, because I know some really nice Greek people and they have really good movies made about them—really good Greek wedding movies. [Laughs] It does look Greek. Everyone asks me if I am. My dad pronounces it "Ah-gos-tee-nee," so the 's' is not in the pronunciation. I say "Ah-gos-tee-nis," but I think that’s the Americanized version. What's your Adam Lambert connection? You replaced him in a show called Debbie Does Dallas? Yes, this is before he was the Adam Lambert. I was fresh out of school [New York University’s Tisch School for the Arts/CAP21], and one of my teachers had a connection to someone in the production of Debbie Does Dallas in Lake Tahoe. They needed a replacement because the guy who was doing it, Adam Lambert, was leaving to do Wicked. So there was overlap with Lambert? Adam took a week to teach me the role, and I lived with him for that week. They had us in these cool lodges out in Lake Tahoe. We performed five or six nights a week at 10pm, so we had pretty much the entire day to do what we wanted. When I learned I got the role in New York, my music theory teacher wanted to go over the music with me, so I would be prepared. We tackled it in the way that Adam Lambert—lungs of steel and voicebox of gold—can sing it. I was like, "This is not going to happen. Let’s make some tweaks"’ They were fine with that, and I got to do the role in my own way. Have you been to Disney World since you’ve assumed the role of the Beast? No, but we’re actually planning on going one of the Mondays we have off when we’re here in Fort Lauderdale. It’s going to be weird because I’m going to go into the gift shop and there will be Beast or Belle items. It’s me! I’m just going to take all the stuff I want. What are some of the most memorable interactions you’ve had with kids on this tour? I love the meet and greets. These kids come up with amazing questions. This girl asked me the other day what Belle and I talk about on stage when we’re in the number “Human Again,” where we’re not the focus, but we’re still on stage. These kids come up with really great questions. What’s the makeup process like to transform into the Beast? What’s it like to get to rant and rave on stage? Is it a good release? Oh, God! Is it ever! The Beast goes through everything in this show. He gets to be really angry and let it out. Even though the roars aren’t all mine because I can’t make that noise physically, I feel like [the sound effects] are mine, when the sound comes out over the stage. It feels like it’s in me. Do you use outside inspirations to keep your performance separate from the movie? I’ve thought about the outcasts of other shows. I’ve thought of the Phantom. I’ve thought of Dexter [from the Showtime series]. How does life on the road suit you? As a cast, we’re definitely together more than that a static show. We’re always going out to dinner and going to bars. I do that a lot less than others though just because of the demands. And I’m not Adam Lambert. 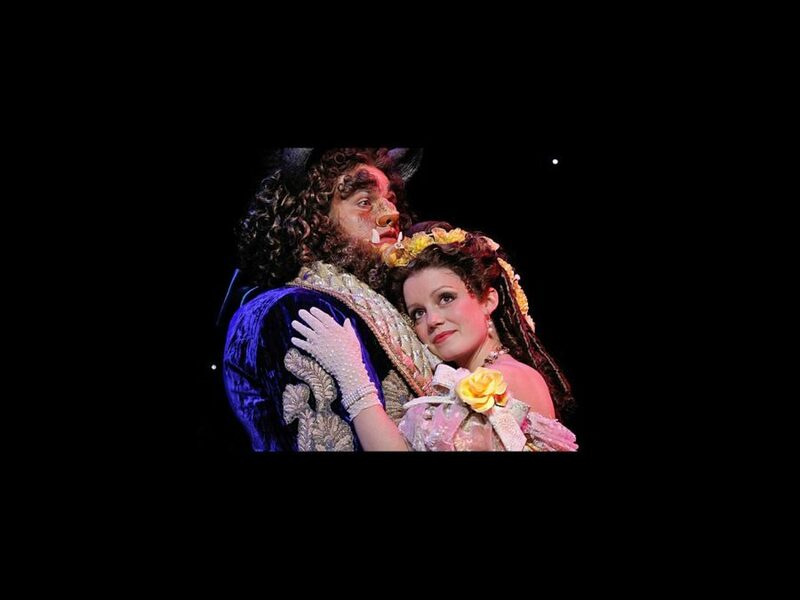 See Dane Agostinis in Beauty and the Beast at the Boston Opera House from May 29 through June 3.